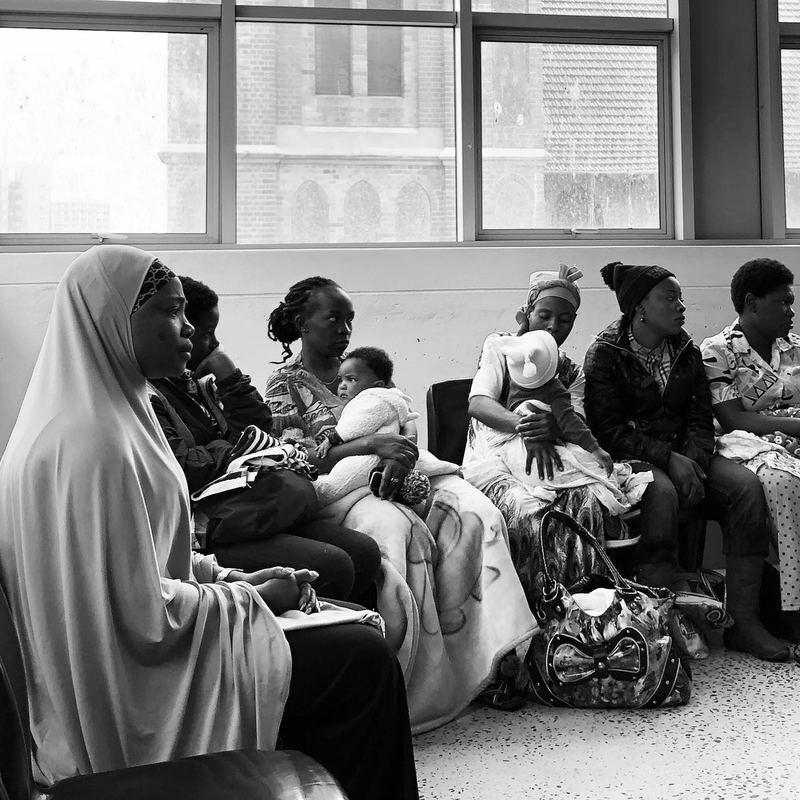 The Last Country is an immersive 50-minute theatrical production adapted from the 30 oral histories of migrant women collected as part of the above research and advocacy project. 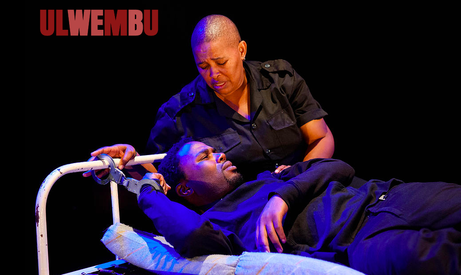 The script sensitively adapts the stories of the women migrants hailing from DRC, Zimbabwe, Somalia and KwaZulu-Natal. The stories are brought to life by top KZN actresses Mpume Mthombeni, Philisiwe Twijnstra, Nompilo Maphumulo and Zinhle Bobi. Through the stories of Ofrah from the DRC, MaThwala from Ndwedwe in KwaZulu-Natal, Aamiina from Somalia, and Aneni from Zimbabwe the audience intimately listens to experiences of leaving home and arriving in Durban, where the women find various strategies in which remake a sense of belonging. ​ULWEMBU is a collaborative documentary-theatre project, that brings together citizens and civil society to engage the interface between street-level drug-addiction, policing and mental health in the city of Durban, South Africa The play’s main purpose is to make visible the invisible life worlds of highly vulnerable people in Durban, and its surrounds. As well as create new social learning opportunities for the Police, Department of Health, NGOs, families of users, and other groups. ULWEMBU is a profound experience that allows participants to immerse themselves empathetically into very complex learning environments. Considering the ecological crisis and the increased disconnection between human beings and nature, this project attempts to find the social and aesthetic educational response needed for developing ecological citizenship for the 21st century. In this transdisciplinary study Dylan McGarry articulates what at first seems a clumsy attempt to enable the capacities of the embodied ecological citizen, and which later emerges as an alchemical ‘social sculpture’ approach to learning that expands the range of capacities available to the citizen and the citizen’s immediate community. This learning bridges the gap between purely biocentric and technocentric forms of education, and addresses the ambiguity of concepts and forms of action such as ‘sustainability’. My primary focus is enabling both communal and personal forms of agency: new ways of 'doing’ and 'being' in the world as it changes radically. THE CLIMATE TRAIN: "LISTENING TRAIN"
In 2011, we spent 44 days aboard a train that traversed South Africa. As part of a large team, we learnt of the realities of climate change, environmental degradation, and other injustices through open discussions and exchanges with citizens in 17 different towns. Known as ‘The Climate Train’, this project was a collaborative, social-mobilisation initiative that aimed to create an alternative to the traditional ‘conference’ space. This was a conference that travelled – and offered South Africans a variety of processes and initiatives that encouraged emergent conversations, exploring everything from droughts, destructive mining, and drug abuse, to innovations in energy, agriculture and activism (as well as many other issues in between). 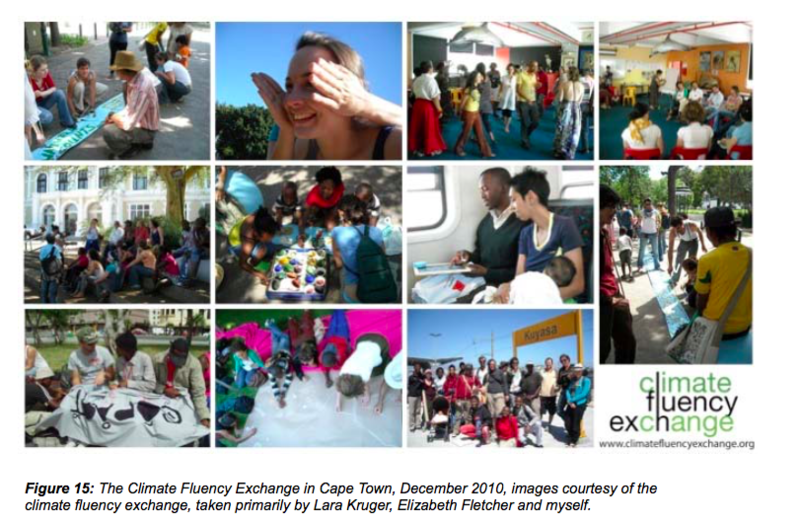 In association with the Environmental Monitoring Group, the British Council South Africa and the Iziko Museum, we developed a ten-day event called "The Climate Fluency Exchange". It was free to the public and was implemented in several different sites across the city- from trains, public squares, parks and museums. Practitioners from several different disciplines were invited to contribute to the content of the exchange and offer workshops, talks or other interventions. The 10 Green bottles of Colesburg worked with disenfranchised decedents of the !Xam people in Colesburg, Eastern Cape South Africa, in 2008. The project aimed to work with unearthing indigenous knowledge, heritage and culture through a interactive social learning process and performance. 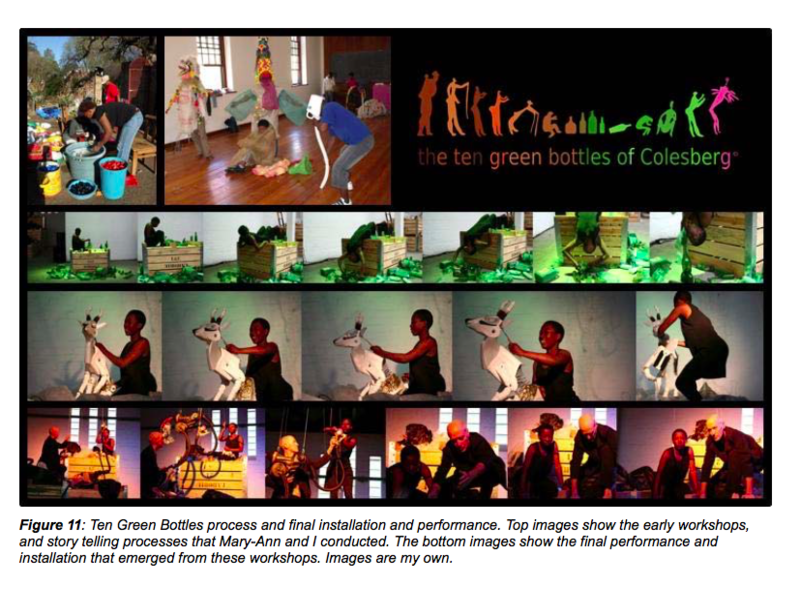 Using puppetry as a safe instrument to establish 'extra social authority' and as a means for exploring storytelling and fables, the Green Bottles project was able to reconnect highly vulnerable people with their ancestral heritage and knowledge practices.